Anyone who has seen Rice’s work may well agree. Her shows have young hearts and strangely sage heads. They’re impish and outlandish, boisterous and carefree, but beneath all their silliness and whimsical charm, the best tap into something soulful and true. Wise Children catches that 100%. “It’s about keeping your innocence and your joy while harnessing your wisdom and your power,” Rice says. There’s another reason the name fits. Wise Children’s a young company with a wealth of experience – and not just because Rice, who hit 50 last year, has been making theatre for three decades. Her latest venture grew right out of her last: that illustrious, but ill-fated, stint at Shakespeare’s Globe. As its third artistic director, she revved and riled up audiences in equal measure, only to be fired – very publicly and very contentiously – halfway through her first year. Eighteen months later, it’s ready to go. 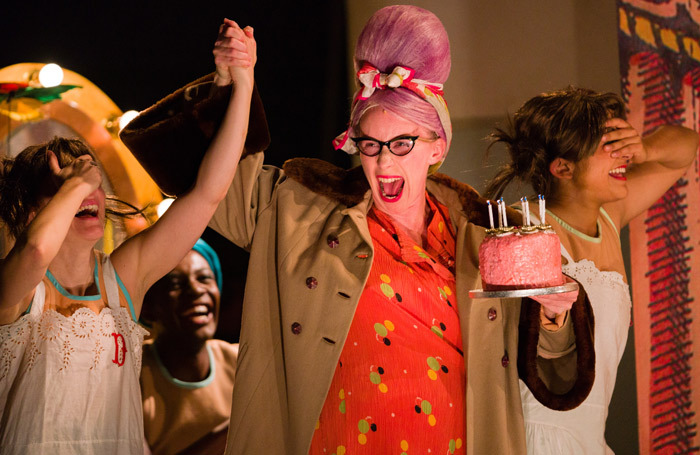 Producers Judith Dimant and Poppy Keeling came on board from Complicite, and Wise Children’s first show opens at London’s Old Vic this week – a freewheeling adaptation of Angela Carter’s final novel, which lends the company its name. Why so? “Well, it’s all about theatre, isn’t it?” the director says. The story of Nora and Dora Chance, identical twin showgirls who live for the stage, Wise Children unfolds their warped family history. It mocks theatre mercilessly, its dynasties and its hams; but deep down, Carter’s novel celebrates the stage’s grubby, greasepainted charm. Really, though, Rice reckons it’s all about belonging. She’s put a caravan centre-stage, an expression of “all the temporary homes we make in theatre”. 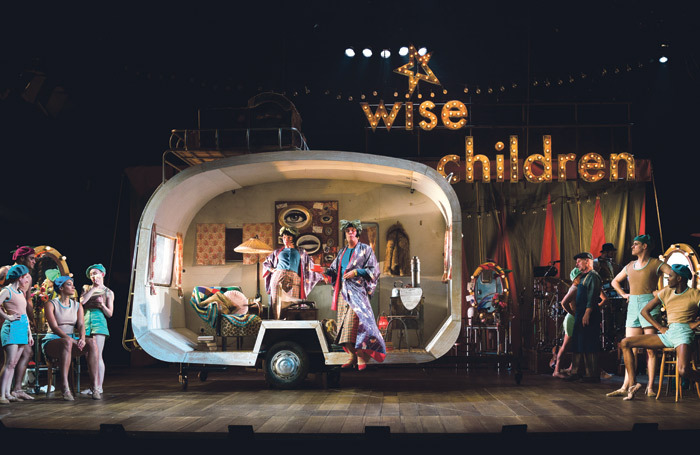 Wise Children wants to tour differently: three-week runs en route and, more intriguingly, a cavalcade of mobile homes to accommodate company members on the road. “We call them Tuck-Tucks,” Rice chuckles: “Temporary Utopian Caravan Kits.” The idea is to “tour a creative environment” and offer each touring venue more than the show. Part of that offer is the School for Wise Children, the company’s in-house training wing. At each stop, eventually, Rice and co will lead courses and workshop for local emerging practitioners, making half the places available for free. It’s an innovative model and, Rice insists, a necessary one given the lack of opportunities for ‘alternative’ training. Like a lot of Wise Children’s plans, though, that’s still a pipe dream. With four years of Arts Council funding secured, the company’s first task is to establish itself, something Keeling says will take longer than first thought. 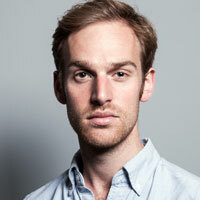 “We have to prove ourselves, show by show,” the producer says diplomatically. 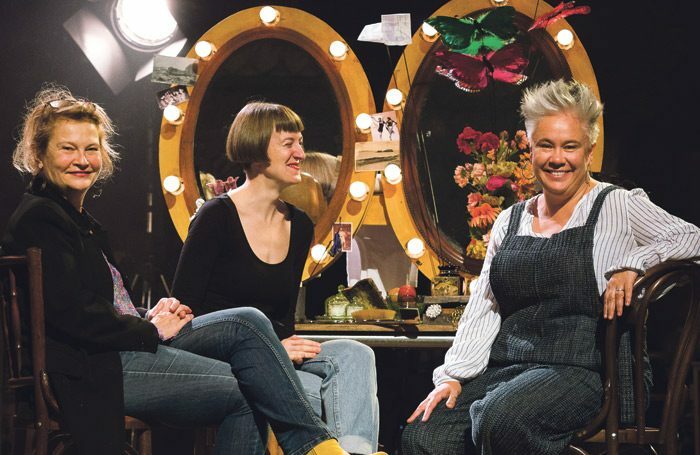 “It’s one thing to say we want to come for three weeks, another to say to a theatre: ‘Here’s our first, really massive, pretty expensive show: how about it?’” Its first tour has landed only two runs of more than a week – in Bristol (four) and York (two). The Tuck-Tucks, like the school, will take some working out. That’s Rice’s way though. “I always have about nine ideas on the go.” It’s why Wise Children might work: there’s no shortage of possible shows. Rice will make another next year, ready for mid-scale tour, though she’s keeping schtum for now. There are others in the pipeline: a Michael Morpurgo adaptation, maybe, and a South Asian-style Shakespeare, and Romantics Anonymous may well make a return, backers depending.